As part of a global approach participants at the Third International Seagrass Biology Workshop agreed to a Seagrass Charter drafted by Professor Mike Fortes to encourage countries to consider the values of seagrass when managing coastal environments. The prime movers in coastal development should adopt and implement codes of conduct conducive to sustainable management of coastal and marine resources, particularly seagrasses; and FINALLY, the International Seagrass Biology Workshop shall be a continuing activity aimed at the pursuit of the highest ideals of seagrass ecosystem research and development. 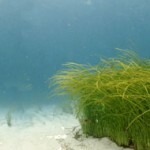 It: Strongly recommends that the participating states urgently draw up national action plans for sustainable development, if these do not yet exist, in consonance with the principles set out in this charter; and Agrees to refer this Seagrass Charter to the Secretary-General of the United Nations, so that it may be taken up by the concerned offices of the UN system or other affiliated international organizations, for submission to the General Assembly.